Money is tight. I get it. But honestly, this is all the more reason to INVEST in yourself to make some extra side cash to pay for those summer camps, sports teams, family vacations, credit card debt or student loans. 2. I DON'T WANT TO BE A SALESPERSON AND BE PUSHY. 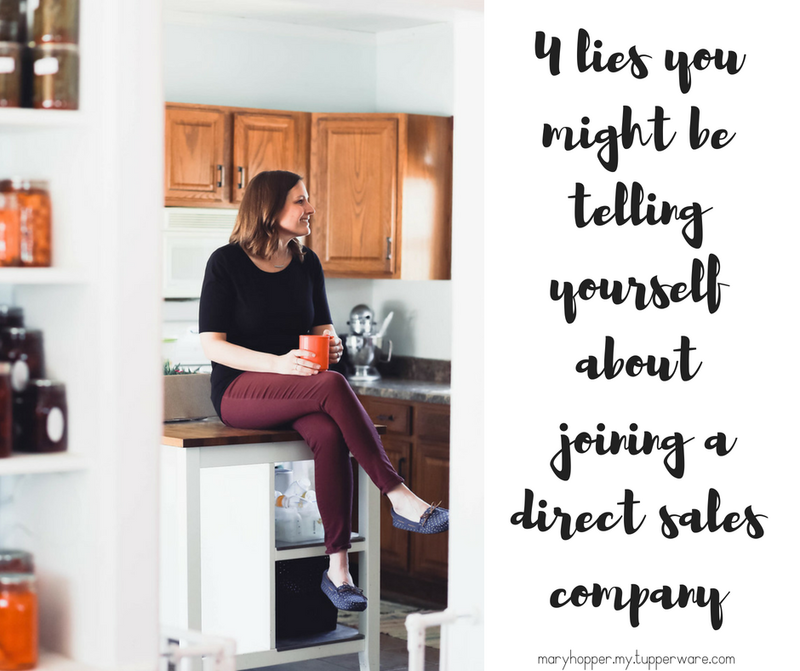 Not all direct sales companies are alike. While some do have minimum sales requirements and monthly expectations that sometimes cause people in those companies to be "pushy" or "salesy" because they are getting some pressure, this is just giving all the rest of us a bad name. This is NOT how I work my Tupperware business. For me, its all about the friendships and the relationships, and the sales come after that. I don't consider myself a sales person. I never feel "salesy" or "pushy." You are your business, so you decide how to represent yourself. 3. I AM NOT GOOD AT SELLING. Perfect. Because this isn't about selling. Are you good at being a nice person? Are you good at having friends? Are you good at sharing your passions with others? Are you good at helping others? This one always makes me laugh because we always find time to bing watch netflix or go through the drive through at Starbucks . This business can be done in the minutes throughout the day. So, what lies are you telling yourself that might be holding you back from something that COULD change your life?